According to the multi-talented French film-maker, François Truffaut, Alfred Hitchcock once said that even though he made two pictures prior to this one, he still thought of it as his first 'true film'. You know. This 79 minute silent-film made in 1927. It was Directed by the Hitch-meister-max himself; and Starred: Ivor Novello, June Tripp, Arthur Chesney, with Marie Ault. Oi! Mister Bunting (Arthur Chesney). Do you know that new lodger we've got staying with us? Well, just between the two of us, I have a sneaking suspicion he might be that killer who's going around London and killing all of those blonde women. I'm sure you must have read about him in that newspaper of yours. After all, the press have labeled him with the fancy title, 'The Avenger'. Now one of the main reasons why I suspect that Jonathan is our killer, is because the other day he gave me a right fright when he asked me to get rid of all of those pictures of blonde women hanging from his bedroom wall. Then later that same day he frightened me once again when I noticed he came home at a most un-Godly hour. Still. That's most probably why what next transpires finally takes a bow when you say to see, 'Oi! Mrs. Bunting (Marie Ault). You don't think he's taken a fancy to our blonde daughter Daisy (June Tripp), do ya?'. As a landlady scream's like a banshee - who'd like a nice cuppa black tea? - a dead sister is found to be the very key - and at the end of the day, murderers and lovers live on in infamy. 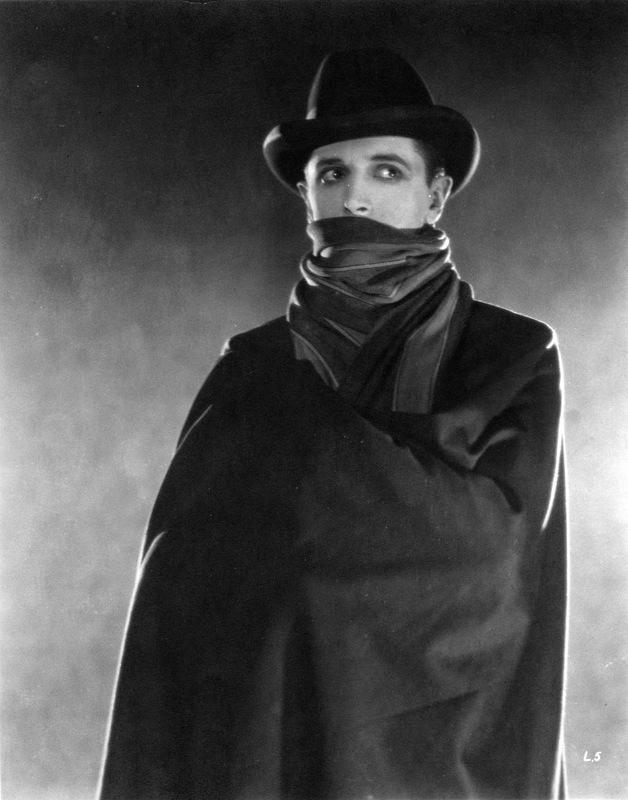 If you ever want to watch 'The Lodger: A Story Of The London Fog', I'd say there are a number of factors you have to take into consideration beforehand. 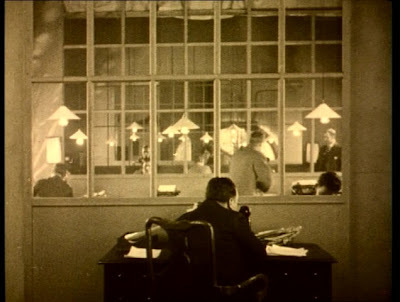 Firstly, it's a silent film, accompanied by orchestral music and caption-cards to relay the overall narrative. Secondly, although this film is supposed to be based on the 'Jack the Ripper' murders, please don't expect to see a realistic portrayal of these events. Thirdly, the acting in this piece can be rather mannered and slow, with most of the performances either very intense -- or very bold -- depending on the intent of the scene. Fourthly, please take note that this is a very old movie, so it's visual quality isn't always intact, and sometimes borders on the blurred. And fifthly, if you're a comic book lover like myself, try to think of it as a 'live-action' tale published by the 'Vertigo' imprint, full of grainy and stark visuals of the suspenseful variety. OK. So now I've got that off of my chest, dear reader. Let me continue my summation with some good old-fashioned filmic-facts. (1) 'Woolf & Freedman Film Service' first released this £12 hundred thousand pound production in London, England, on the exact same day as the Hull Paragon railway disaster. It was on the 14th of February, 1927. 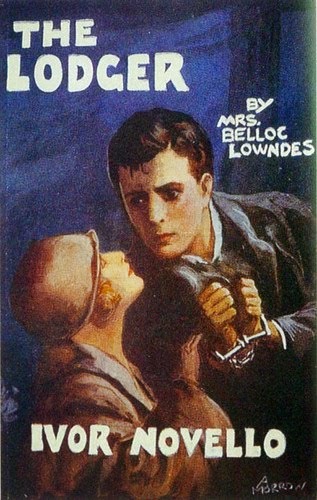 (2) Allegedly Marie Belloc Lowndes wrote the novel this movie was based on from an anecdote told to her by the painter, Walter Sickert, who heard it from a landlady he rented a room from. Ironically enough, Walter is also one of many Jack the Ripper suspects. (3) If you look very closely at that scene set in the newsroom, you will be able to see the director of this film, Alfred Hitchcock, sitting at a desk with his back to us. Now, this would be the first of this many noticeable cameo appearances, spearheaded because he couldn't find enough extras to populate this scene. (4) Alfred originally wanted this film to have a more ambiguous ending to it like it was in the book. But when Ivor Novell was hired to star as it's main lead, the studio -- plus his agents -- wanted this project to have a more 'finite' conclusion. (5) Despite Hitchcock going through a lot of trouble to persuade Scotland Yard to allow him to shot the aftermath of the first murder at Charing Cross Bridge, ultimately, this scene was scrapped because, during the editing process, he discovered that the cameraman forgot to take the lens cap off of the camera. (6) Since it's initial inception this thriller has been remade three times in total. In 1932 Ivor Novello reprised his role for the Maurice Elvey version. In 1944 Laird Cregar played 'the lodger' for the John Brahm version. And in 2009 Simon Baker played the 'mysterious stranger' for the David Ondaatje version. Heck, even Peter Lorre played this part on the radio. (7) On the 2nd of December, 1926, not so long before this film was first released, Alfred Hitchcock married his assistant, Alma Reville. (8) Michael Balcon didn't like how Alfred directed this movie one little bit. And as it's producer, he even threatened to shelve it until the film-critic, Ivor Montague, came to Alfred's rescue by helping him 'salvage it' with a couple of minor suggestions. Mainly, re-shooting the title-cards', plus a few of the minor scenes'. (9) For any more Ripper related information please click on over to our pals at The Jack The Ripper Tour. Phew! 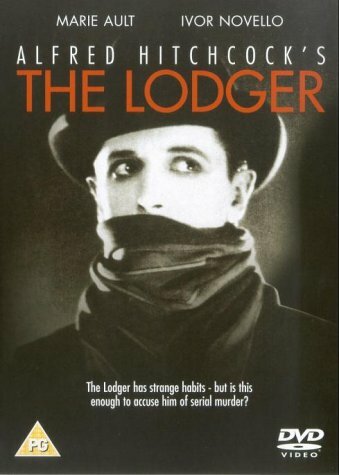 So now I've got the facts out of the way with, I'm pretty damn sure you're wondering to yourself if I liked watching 'The Lodger: A Story Of The London Fog' or not? Well, if truth be told I did like watching it, dear reader. In my eyes, if a film is able to tell a coherent tale -- like this one managed to do -- then it's a good film in my book. First off, I'd say it had a very suspenseful and grainy tone to it I just adored following. And this was complemented with an overall through-line that made perfect sense within the confines of its narrative, even though 'Jack all' about it was about 'Our Jack'. The acting style was also fairly clear and to the point, and I have to say it did impress me in a very theatrical manner. Plus on occasion I did find some of the camera-work quite inspiring too, considering it was made in the late nineteen twenties. On the flip side of things though, I do have a sneaking suspicion that this flick wouldn't necessarily be everybody's cup of tea. So if you've already read my proceeding five-point summary at the start of this piece -- plus you're the type of person who can't 'cope' with silent-films -- then this one is definitely not for you. Overall this is a good movie. And unquestionably one for the movie-buffs, the Ripperologists, and fans of cinema's golden age alike. Smashing.